The Hammocks is another of Palm Harbor's most popular subdivisions located at Tampa Road just east of County Road 1 and west of Belcher Road. This appealing, deed restricted community consists of affordable real estate with three and four bedroom homes for sale with two car garages. Built in the 1980s, the Hammocks displays attractive mature landscaping throughout the community. There are many inviting pool homes available in The Hammocks, with spacious rooms offering square footage ranging from about 1200 square feet through over 2000 square feet. Also attainable are some stunning newly remodeled kitchens and baths. 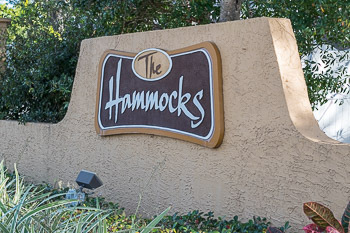 The Hammocks is walking distance to Palm Harbor Elementary School, Palm Harbor Middle School, and Palm Harbor University High School making this neighborhood home to kids of all ages. Shopping is abundant in this area as are restaurants. Relax at the most beautiful Florida beaches just minutes away, enjoy a delightful sunset, and walk or bike along the Pinellas Trail. Selling your Home in The Hammocks? Are you thinking of selling your home in The Hammocks? Contact one of our Lipply Real Estate Agents today to see what we can do for you! We are an avid part of the Palm Harbor Community and have been since 2002. We strive to make the best possible sale EVERY TIME and are confident we can do the same for you. Call us today to find out more!